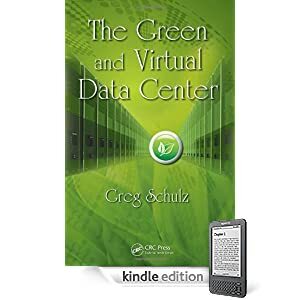 My two most recent books The Green and Virtual Data Center and Cloud and Virtual Data Storage Networking both published by CRC Press/Taylor and Francis have been added to the Intel Recommended Reading List for Developers. If you are not familiar with the Intel Recommended Reading List for Developers, it is a leading comprehensive list of different books across various technology domains covering hardware, software, servers, storage, networking, facilities, management, development and more. So what are you waiting for, check out the Intel Recommended Reading list for Developers where you can find a diverse line up of different books of which I’m honored to have two of mine join the esteemed list. Here is a link to a free chapter download from Cloud and Virtual Data Storage Networking.